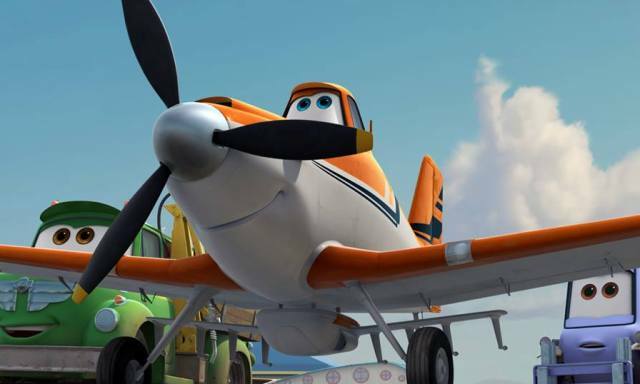 Dusty Crophopper (Cook) is a crop dusting single prop airplane that thinks he can be one of the greatest racers in the world. 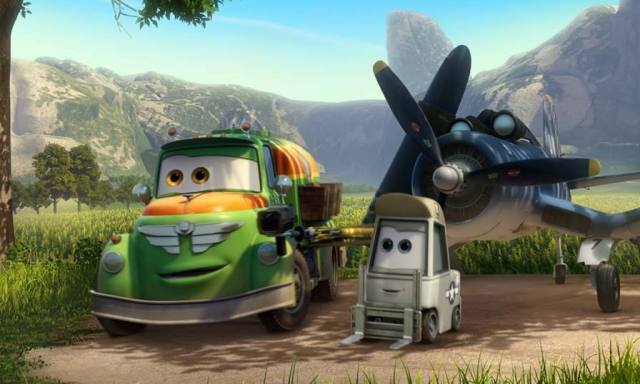 After qualifying for the Wings Across the World aerial race, he enlists the help of his friends Chug (Garrett) and Dottie (Hatcher) to help him become an even better flyer, but its not until Skipper (Stacy Keach), a World War II veteran, decides to lend his experience and expertise does Dusty begin to realize he may actually have a chance at winning it all. 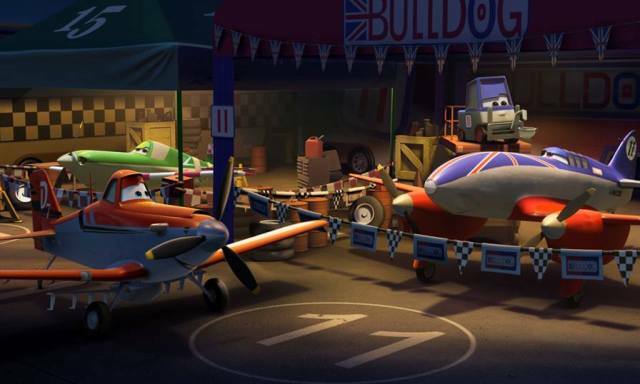 With his eyes on the championship, Dusty tries to get to know his fellow flyers, but in some cases is met with less than enthusiastic competitors who can't believe a lowly cropduster is taking up their hallowed airspace. 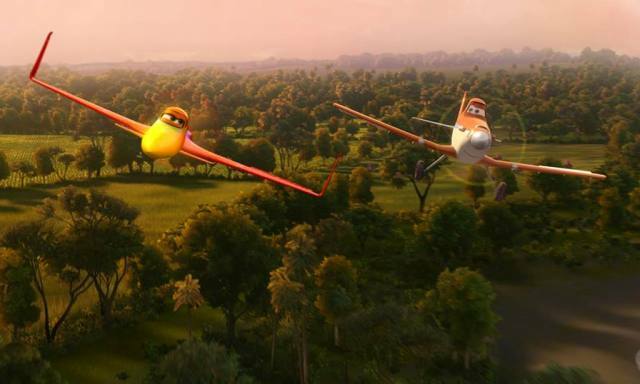 The ultimate underdog is forced to literally learn on the fly as the more experienced planes are quick to pull ahead in the standings, but not even Dusty himself could not have predicted what was about to happen during this race around the globe. You may be wondering why there is no Pixar logo anywhere to be found on the movie poster at the top of this page or anywhere else for that matter. 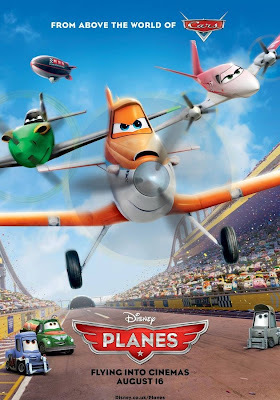 I mean, if Planes is supposed to be set in the same world as Cars, then why wouldn't the fin folks at Pixar be the ones bringing it to life. Originally, this was going to be a Pixar release but was meant for home video rather than big screen theaters. Well, mid way through production, Disney executive John Lasseter stepped in, made some big changes to the story, handed it over to DisneyToon Animation, and got the whole production revved up for a run at the big time. The end result is an animated feature that is both genuinely fun and breathtakingly beautiful with a story that doesn't try to draw you in for the sole purpose of getting you to buy something. Of course, there are some definite flaws to be found, but seriously, this is just a great family movie that is just as courageous and honest as the hero it features in Dusty Crophopper. While the roster of talent providing the voices won't blow you away with sheer star power, everyone puts in a solid effort and overall I was happy with the performances. 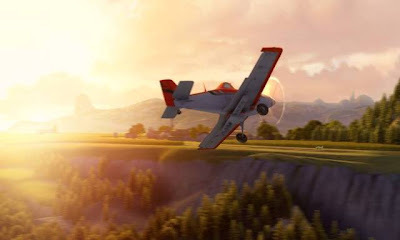 There's even a nod to an 80's aviation classic that you may not realize is there until the credits roll, but trust me, its pretty cool once you see the names. What I liked most about Planes is that Disney decided to just tell a story rather than throwing in whatever they could to maximize merchandising and marketing opportunities. Unfortunately, they also chose not to throw their full might behind promoting the movie which means a release that stands head and shoulders above some of their other recent releases is not going to get the audience it really deserves. Like I said earlier, its not a perfect movie and, at times, feels like its beginning to lose altitude, but when it finally does cross the finish line, you are left with something much better than you were expecting...just like Dusty, the unlikely hero who tries to defy the odds.